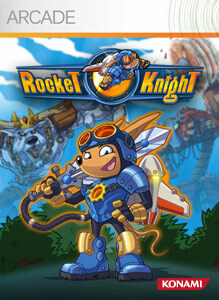 "Sparkster makes his triumphant arrival on next-gen consoles with Rocket Knight, an updated, hi-definition entry in the classic 2D side-scrolling rocket action series. Our favorite opossum hero returns home after 15 years to find the kingdom of Zephyrus in shambles. Use your wits and Sparkster’s trusty rocket pack to dodge and defeat a menacing wolf army threatening the lives of the people." 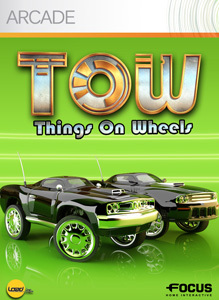 "Things on Wheels – ToW – is a fun and fast remote-controlled car racing game that is playable in single or multiplayer (up to 4 players)! Drive many miniature racers with various features – the agile Vintages, the powerful Muscles or the fast Sports cars – and compete in dozens of crazy races. The tracks are completely insane, loaded with shortcuts, ramps, loops and many other surprises. Count on a lot of items to pick up to spice up the races even more and upset the final rankings!"